First off, every gaijin blog out there will have a post or two gushing about Kyoto and I will gush as well when I’m done with my trip. 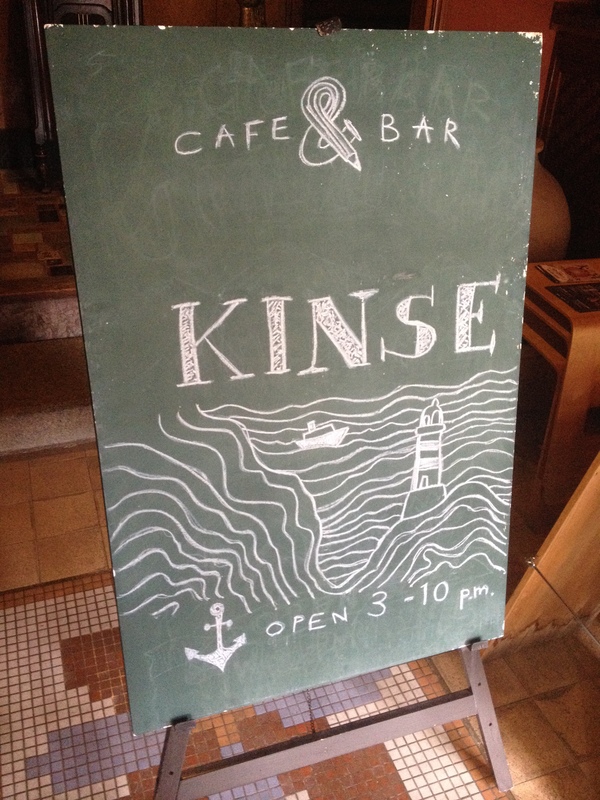 But for now, I am going to fill you in on the most freakin’ amazing deal in Kyoto: Kinse Inn. This place is absolutely incredible. It’s that very rare, too- good- to- be- true kind of thing, but it is very true. 1) electrical outlets. They are few and far in between. If you’re a techie, you had better bring a power bar. Understandable since this house is from the 18th century. 2) the shower head is stuck at a funny angle. 4) toilet is on one end of the floor, and the shower is on the other. 5) If you are with anyone who has difficulty with stairs the entrance may be a challenge. And that’s it for the bad, and I really had to think hard on those. When you rent this place, your not renting a room or a suite, your renting a floor which can sleep up to seven people. Only one group can rent at a time, so you aren’t sharing the floor. Everyone speaks great English too. So now for the rest. Let me start at the beginning. The building itself is located in a part if town that used to be the Gion district 50 some years ago but was turned into a residential area. Many of the building hold the same charm as the rest of Gion but are now just regular bars, and coffee shops. Upon entering the foyer, you can go to your left, which has the stair going up to the guest rooms or straight ahead through a door which leads to the cafe/ bar downstairs. Going upstairs you are immediately faced with 2 living rooms. One is a massive tatami room that could comfortably host 20 people. 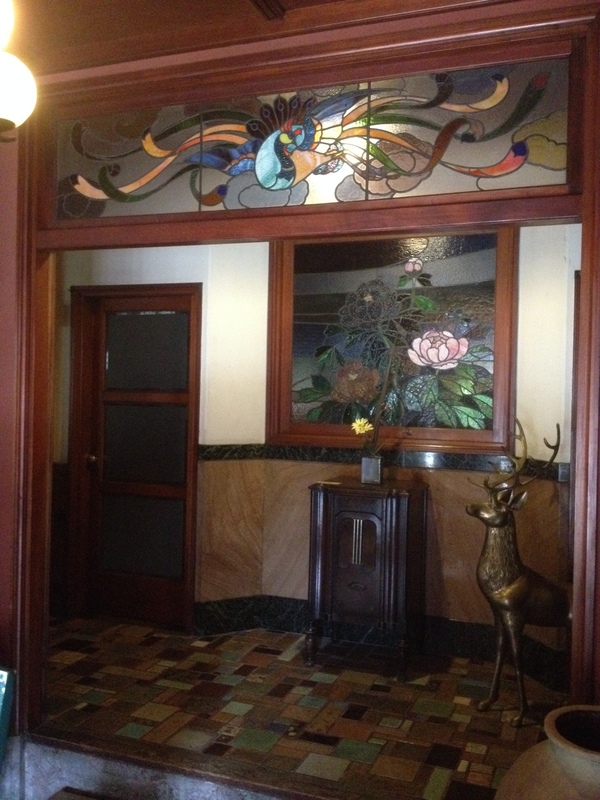 The other is a smaller room with a turn of the century charm. Not the normal traditional Edo era charm you come to expect from Kyoto, but a very late Taisho or early Showa era charm (1920’s-ish). There are two large tatami guest rooms with futons and a great shower just at the end of the hall. I really like the shower because it is mostly wood with bamboo floors. When it gets wet there is a beautiful, woody aroma (which I love). There are soaps and shampoo that are clearly labelled in English and a deep bathtub. The only thing missing is the little stool you sit on to wash yourself. That method of washing I have clearly assimilated since coming to Japan. It’s funny, but I woke up before my friends on the first day and spent the morning exploring the place and reading my favorite blog posts by myself in this massive tatami room… I was in absolute heaven. I did find out that day, for our initial introduction to the inn was in slack jawed amazement, that there is indeed a hot water heater with some instant tea and a micro refrigerator. I have to laugh when they say this place is for 7 people tops when I think you could comfortable fit 15. Now to the bar. Same turn of the century charm. When you are served alcohol, it comes in a thick stylized glass. Many seem to me like they are 100 years old as well. The bartender there is cool as hell and speaks very good English. Although I haven’t tried it yet, they have a guy come in early in the mornings and roast coffee beans on this contraption in the foyer. This weekend they are having live Jazz down there so I am pumped to see that as well. Finally there is the price. If you know hotel prices here, you will know how much of a steal this place is. The price + the size+ the ambiance= massive win. Honestly, if you know about this place and don’t stay here then either someone reserved it first, or you are a huge sucker. If I had the money, and I was a better writer than a runny nosed ADD kid, chicken pecking a typewriter. I would rent this place for a month and write a Pulitzer Prize winning novel. As far as the history of the location. It used to be a part of the Gion entertainment district some 50 years ago, but went residential. You can immediately tell just by the street that was the case. There are many buildings and bars very similar to what Gion is now mixed with modern (ugly) houses. 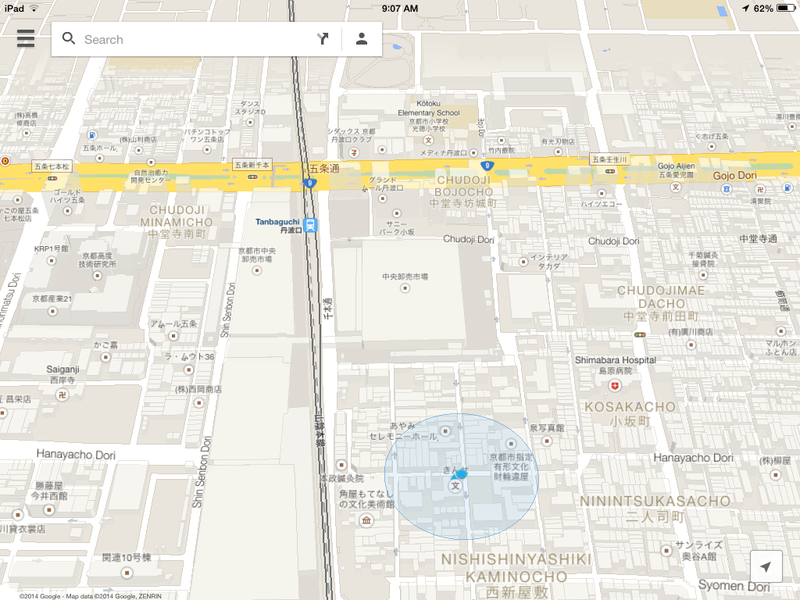 Location of Kinse Inn according to google maps. 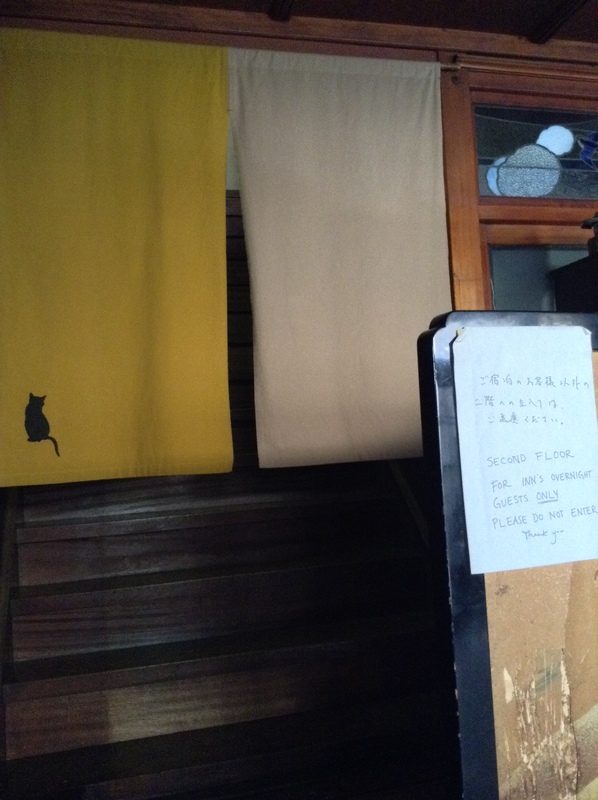 Posted in Traveling in JapanTagged bargain, good deal, hotels, Japan, kyoto, kyoto ryokan, kyoto travel, ryokan, travelBookmark the permalink.